In this episode, I talk about a new book that I just got and how reading or watching things that bring back memories create interesting positive emotions. 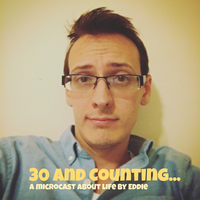 You can find all past and future episodes at http://30andcounting.me. You can find all my content at my digital home, https://eddiehinkle.com. The theme music is Day 90 of Aaron Parecki’s 100 Days of Music project.